You might not be able to tell from wherever you are reading this, but black holes in the distant universe just shrunk down to as little as a tenth of their previous size. This is not some cosmic disappearing act; a new analysis of supermassive black holes at the centres of active galactic nuclei has revealed that their masses were previously overestimated by up to a factor of ten. The paper was published in Nature last week. Active galactic nuclei, or AGN, are among the most luminous objects in the universe and are powered by massive black holes millions of times the mass of the Sun. Gas clouds, known as “broad line regions” for reasons that will become clear later, surround the black holes. These gas clouds range from a few light daysto hundreds of light days across; they are much wider than our solar system. Astronomers have been studying these clouds for over thirty years, but had not worked out the why some of them were flatter than others — until now. Wolfram Kollatschny and Matthias Zetzl from the Institute for Astrophysics, at the University of Göttingen in Germany, looked into the relationship between the shape and width of spectral lines observed in the emission spectra of AGN. An emission spectrum is produced when an object, a gas cloud for example, blocks a light source, such as a star. The light coming the source gets absorbed into the gas cloud, and is eventually re-emitted. Astronomers can measure the intensity and wavelengths of the light that gets re-emitted. Spectral lines are spikes in the emission spectrum, and represent a lot of light at a certain wavelength. They can tell astronomers what elements are present in the gas cloud. 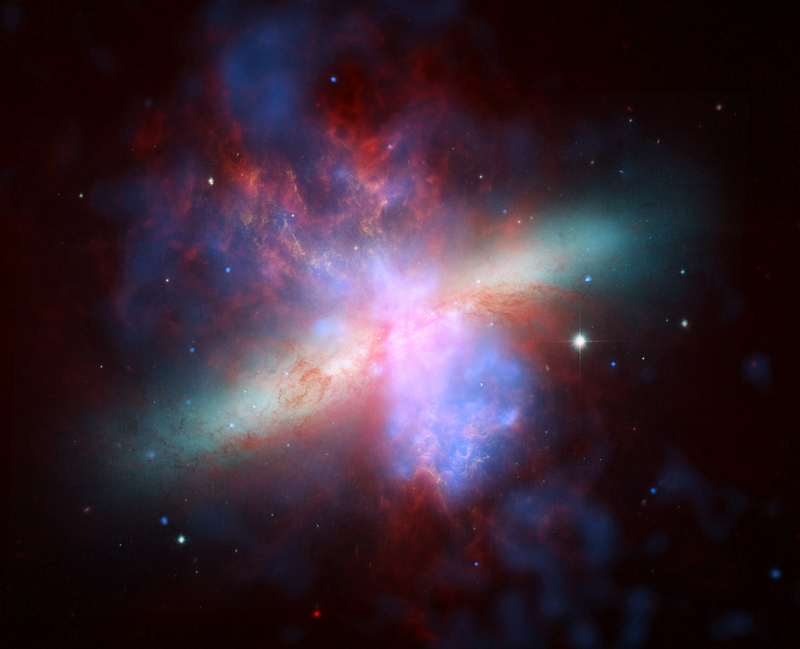 However, for the gas clouds surrounding black holes, it is not quite that simple. The regions are spinning very fast around the central black hole, and the light emitted from them is subject to the Doppler effect. The Doppler shift is seen, or rather heard, in more everyday situations too — when the pitch of an ambulance siren seems to rise as it speeds towards you in the street and fall as it gets further away. That’s the Doppler shift affecting the sound waves. It happens because the ambulance is moving as it emits the sound waves, so the frequency of the waves _appears_ to change. * When gas rotates around a black hole, the same thing is happening to the light rays because some of the gas is moving away from the observer quickly and some is moving towards the observer quickly. This makes the spectral line astronomers eventually observe broader — an effect known as Doppler broadening. This is the reason the gas clouds are called “broad line regions”. Kollatschny and Zetzl looked at 37 active galactic nuclei. They worked out that fast rotating AGN created broader spectral lines, and slower ones made more narrow lines. From their observations, they saw that faster rotating AGN had flatter gas clouds surrounding them, and slower ones had more rounded gas clouds. As they now knew how fast AGN were spinning, they were also able to come up with new, more accurate estimates of the masses of their central black holes. Previous estimates used just the spectral lines to estimate masses. This is a problem, particularly for very distant AGN, as astronomers can usually only see one spectral line from these — so there’s nothing else to check any estimated against. The new black holes masses came out between two and ten times smaller than the previous estimates. While this isn’t going to cause any major problems for the black holes themselves — they’re still the most massive objects in the universe — it may pose a problem for astronomers studying the formation of black holes. *Wikipedia has a good animation illustrating the Doppler Effect. It does sound big, but when you consider the numbers involved - say masses like 1,000,000,000 (1 billion) vs 100,000,000 (a hundred million) times the mass of the sun - it turns out to be a not ridiculous mistake to make. It's not insignificant, but when the numbers are so big in the first place a factor of ten doesn't change things that much.